Possibility to spend the night at Seoul Incheon airport (ICN), if open 24 hours. Services available, places to rest (free resting zones), or look for the list of nearby hotels and vip lounges..
Incheon airport operates with many flights and connections around the globe, and therefore movement is constant, even during the night. Besides being a spacious place with modern facilities, there are many interesting activities you can engage in while you wait for your flight. Where to rest: It is best to stay close to the boarding area. Here the lights are dimmer and you can find numerous comfortable seats, including reclinable couches and massage chairs. On the third and fourth floor, especially, there are relax areas which are ideal for a rest. In both terminals there are also VIP lounges if you have a bigger budget, but keep in mind that none of them are open during the night. 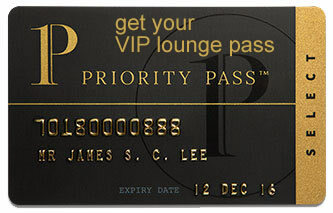 SEE VIP LOUNGES In addition, inside the enclosure there are two hotels for a longer rest. Baggage: The left luggage service of Terminal 1, on the third floor, operates 24 hours a day. Eating and drinking: Different options inside both terminals, including several eateries that remain open throughout the night. Restrooms: Showers available for free on the fourth floor. Other services available around the clock: Currency exchange bureaus, ATMs, duty-free shops, convenience stores, baby changing facilities, mobile phone services, children's playgrounds, medical clinics. The Incheon Airport Transit Hotel (Tel +82 327 433 000) is situated on the fourth floor of Terminal 1, while on the first floor of the transportation center you can find the Darakhyu Incheon International Airport Capsule Hotel (Tel +82 327 435 000). Other options include: Hotel Hu Incheon Airport (Tel +82 327 430 005), Grand Hyatt Incheon (Tel +82 327 451 234), Best Western Premier Incheon Airport Hotel (Tel +82 327 431 000), Paradise City (Tel +82 1833 8855), Incheon Airport Gogo House (Tel +82 324 249 975), Incheon Airport Guest House (Tel +82 327 433 060), Hilton Airtel (Tel +82 327 436 221), Numberone Residence (Tel +82 327 431 124). Most hotels in the city centre provide transfer services for their guests.